Tess Gerritsen is a Big Deal Suspense Author these days, but her roots are in romantic suspense. Her early books were published by Harlequin Intrigue, and as Harlequin is wont to do - when an author from their past becomes a Big Deal, reprints happen. 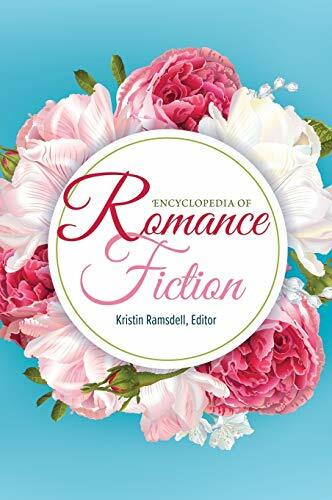 And, as also inevitably happens, romance readers then have to wade through reviews from Other Genre Fans who stumble across the reprints and have a fit of apoplexy over the author's sordid past of writing "love cooties." Sigh. Never Say Die was originally published in 1992 - Harlequin Intrigue #181. As happens when reading a contemporary novel written 25 years ago, the reader has to go into the experience like opening a time capsule. Inevitably some things won't have aged well. That said, given that this story takes place entirely in Southeast Asia, not quite 20 years post-Vietnam War, this one holds up better than most. Not to mention it's compelling as all get out. I was riveted by this book. Willy Maitland is in Bangkok looking for answers. Her mother is dying and Willy has taken it upon herself to learn the truth about her father. 20 years ago, while flying for Air America, Bill Maitland's plane went down near the Laos border. His body was never recovered and there are rumors he may be alive. Desperate for closure, Willy makes the trip to Southeast Asia, only to encounter one road block after another. Guy Barnard is ex-Army, now a civilian contractor helping the US and Vietnamese governments identify recently uncovered bodies. That's why he's in Bangkok and that's how he conveniently runs into Willy. Her father was the stuff of legend and naturally, since he's a romance hero, Guy has a Super Sekrit Hidden Agenda. She doesn't trust him as far as she can throw him, which means he's just going to have to convince her that she needs his contacts and expertise. What she really ends up needing through, besides his help, is his protection. Especially when it becomes clear that Willy is in danger. For a former Intrigue this story has a surprising number of layers to it and plenty of characters floating around to keep you guessing on the identity of The Bad Guy. 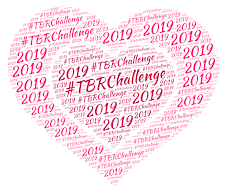 I wasn't reading romance back in 1992 (although I was a suspense reader and would have LOVED this book back then) so I'm not familiar with how the word counts for the Intrigue line may or may not have shifted over the last 25 years. This one does have the feel of a single-title, so readers who scoff at reading "short" shouldn't have too much to quibble about here. Vietnam was a messed up war, and that's what I enjoyed best about this story (as sick as that sounds). When Gerritsen was writing this book we weren't even 20 years to the anniversary of the fall of Saigon, and Senators John Kerry, Bob Smith and John McCain were serving on a committee for MIA/POW affairs - looking into rumors that live prisoners were still alive "in country." This was seen as a humanitarian issue, but it was also the main sticking point keeping the US from "normalizing" relations with the Vietnamese government. Which the US began to do more earnestly during the Clinton administration. 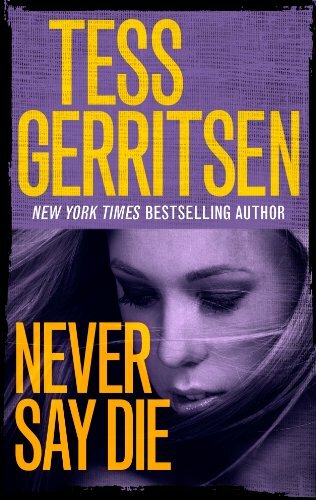 So for Gerritsen to use this idea as a backdrop for a romantic suspense novel would have felt timely in 1992 and, when reading this book as a time capsule, allows it to hold up fairly well to modern day readers. By today's standards, there were times when I found Willy lacking as a heroine, but for 1992 she would have been viewed as extremely capable. She does have the gumption to arrange the trip to Bangkok and get herself into Vietnam on a tourist visa. That said, there are times when there is obviously something rotten in Denmark and she's a little too slow on the uptake for my liking. I "get" her conflicted trust issues regarding Guy, but the minute he saves her life I would have been all like, "well, the devil you know!" It takes Willy a bit longer after that to come around and realize that she needs his help. Guy is a hero from the Han Solo mold. Charming, rumbled, a little irreverent, but with a hidden agenda that the heroine doesn't find out about until later. He's Romance Reader Catnip and Gerritsen wisely drops little hints, building anticipation, until the final reveal of who Guy is and what he's after. These are two characters who bounce off each other well. Speaking of bouncing. the romance itself is of the PG variety. There is a love scene, but it comes later in the book and it's not overly graphic. Like most romantic suspense novels, the characters do the deed in an interesting locale, but at least their timing isn't totally absurd (they aren't in imminent danger!). But it really wasn't the romance that provided the emotional heft to this story. It was the ghost of the war itself and the heroine's justifiably lingering Daddy Issues. It's when the heroine has to confront the choices her father made, and how that affected her life, and her mother's - that's where the meat and potatoes of the story reside. I've read suitably emotional category romances in my day, ones that lingered with me well after finishing the story, but nothing quite like this one. I'm trying to imagine what it would have been like as a reader in 1992, being exposed to this story, at that time, and I bet it was pretty epic. Especially for readers directly impacted by the war. Damn you, Wendy ::shakes fist:: it's only $1.99 in *zon!